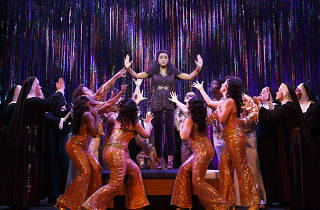 Hailed as ‘ridiculously fun’ by The New York Post, Sister Act is a sidesplitting musical comedy that’s taken Broadway by storm. Featuring original music from film composer and eight-time Oscar winner Alan Menken, the musical follows the story of Deloris Van Cartier, a wannabe diva whose life takes a surprising turn when she witnesses a crime and is forced to hide in the last place anyone would think to look – a convent. 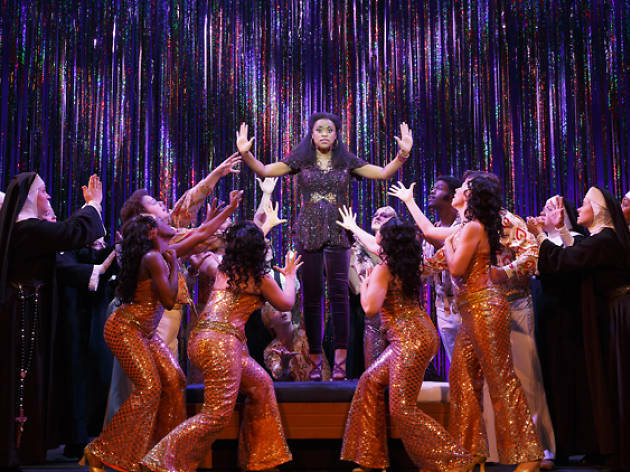 Fans of the Whoopi Goldberg-starring movie will be pleased to know that MasterCard Theatres at Marina Bay Sands is bringing the hit musical comedy to Singapore. And with the launch of Marina Bay Sands’ brand-new entertainment portal, your night (or day) out on the town won’t end when the musical does. Choose from three distinct packages to make your trip to Marina Bay Sands a special one – alongside tickets to the musical, plus complimentary champagne to complete the experience. If you’re on the lookout for the next best restaurant, the Show and Dine package is for you. Sate your hunger pangs with a delicious meal before or after Sister Act. From $100, you’ll be treated to a pre-arranged dinner and curated menus at one of Marina Bay Sands’ signature restaurants – and that’s including the price of your ticket. A paradise for the discerning steak lover, CUT by Wolfgang Puck offers premium cuts of beef sourced fresh from Australia, Japan and the US. Sink your teeth into an Alaskan King Crab & Shrimp “Louis” or Snake River Farms Flat Iron Steak. Don’t forget to pair your steak with one of 700 premium wines with the help of CUT’s sommelier service, or sip a cocktail at the bar and lounge. When it comes to fresh Italian pastas, Osteria Mozza hits all the right notes. Go for the garganelli with ragù Bolognese or tagliatelle with oxtail ragù. But before that, there’s the antipasti to choose from: think options like burrata with leeks vinaigrette and mustard breadcrumbs, or ricotta with radicchio, spiced walnuts, honey and fried rosemary. Round off your meal with a coconut panna cotta, finished with passionfruit sauce and – for a textural difference – almond and hazelnut biscotti. You’ll be sorted on the tipple end, too, because the Show and Dine menu comes complete with a complimentary glass of red wine. If you’re planning a romantic date night, impress your other half at db Bistro & Oyster Bar, right across from the theatre. Start things up with the loaded baked potato soup that’s touched by the flavours of aged cheddar, then move on to the mains – the red wine-braised chicken ‘coq au vin’ with smoked bacon, spätzle and wild mushrooms is a winner. For dessert, indulge in the molten chocolate cake that’s drizzled with sea salt caramel and served with a scoop of ‘hot chocolate’ ice cream. Fancy something Asian? Adrift does a modern take on izakaya fare, spinning fresh Californian produce into Asian-leaning dishes of small plates, salads, seafoods, and and meats grilled on a robata grill. Try chef David Myers’ star dishes, such as the pistachio crusted big eye tuna with coconut curry and green mango – then finish off with a blood orange lemon tart, which comes complete with almond and lemon cream. Turn your evening at the theatre into an unforgettable night with the Show and Stay package, where you’ll continue your experience with a toast to the views from your hotel room. As a hotel guest, you’ll also get to dip your toes into the world’s largest rooftop infinity pool. Go all-out and pamper yourself with The Ultimate Experience package that comes complete with a show, hotel stay, dining and passes to one of the many attractions. Live the high life in your room at the Marina Bay Sands Hotel, feast on a great meal, then hit up MasterCard® Theatres for Sister Act. Choose from two attractions, including Future World, an exhibition at the ArtScience Museum. Interactive installations, such as the immersive Crystal Universe that’s constructed with 170,000 LED lights, will leave you captivated. The views at the Sands SkyPark Observation Deck, which sits atop the three towers of Marina Bay Sands, are not to be missed, either. Learn about the construction of the SkyPark with a complimentary audio guide while walking through the lush, landscaped gardens, home to 250 trees and 650 plants. Save 20% when you book at www.marinabaysands.com/packages now.